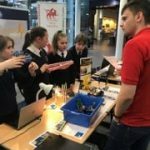 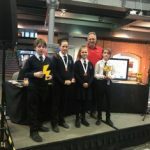 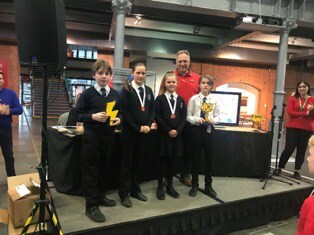 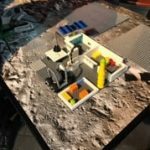 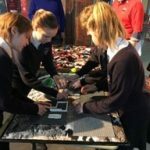 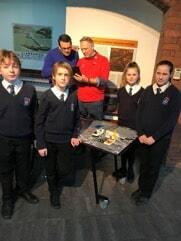 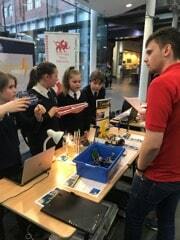 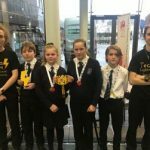 On Friday, 18th January, 4 pupils from years 7 and 8 took part in the 2019 First Lego League competition at the National Waterfront Museum in Swansea. 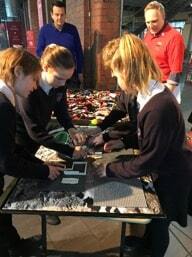 The team consisted of Chloe Whitton, Eloise Jackson-Peck, Ernest Richardson-Laurens and Thomas Jones. 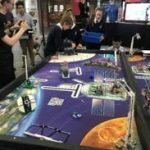 Throughout the day the team had to complete various challenges which included a project presentation, a demonstration of the robot they created and its technical design, as well as showcasing their teamwork skills in a core values task. 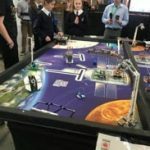 There was also a robot game where the team had to program their robot to complete various tasks in order to collect points. 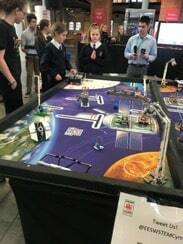 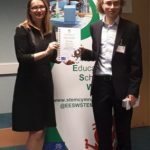 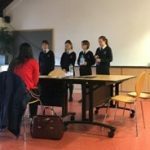 The team had been preparing for the event since September, having been expertly mentored by Edward Upton and Ben Dodd of the sixth form, who took the time to teach the group following their own previous success in the competition. 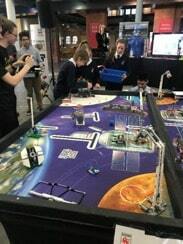 It was a very successful day for the team as they came first in the robot game challenge. 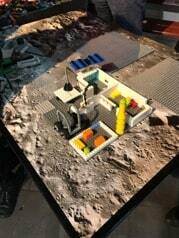 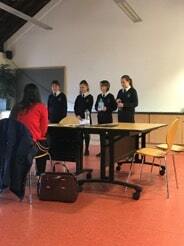 Judges also commented on how well the team had worked together to complete all other aspects of the competition. 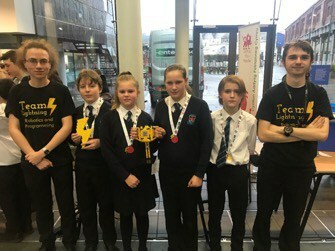 Another successful day for Team Lightning, with the hope that they can go one better next year and win the overall prize. 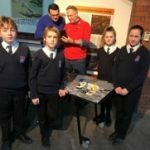 Da iawn pawb, the future of robotics is bright at Ysgol Gyfun Emlyn.